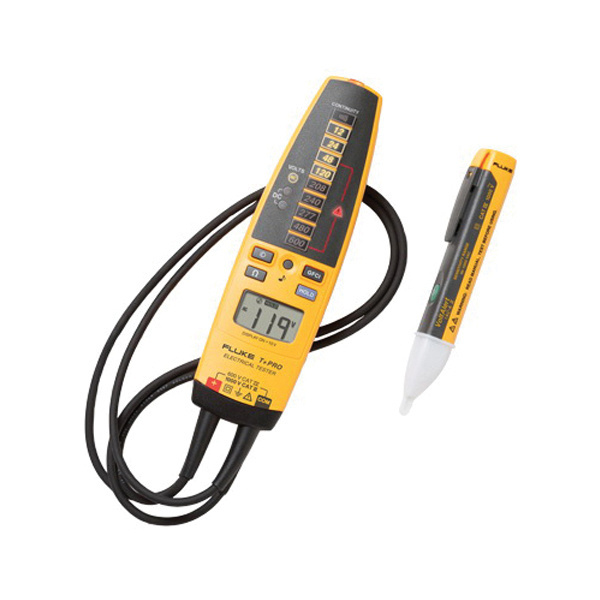 Fluke Electrical tester and AC voltage detector kit includes T+PRO electrical tester, VoltAlert voltage detector, test probe set and test lead wrap. The included reliable tester features voltage measurement, continuity, built-in flashlight and GFCI trip capability for versatile application. The tester is an exceptional choice for most residential, commercial and industrial use. The pocket-sized voltage detector is designed for quick testing of energized circuits.